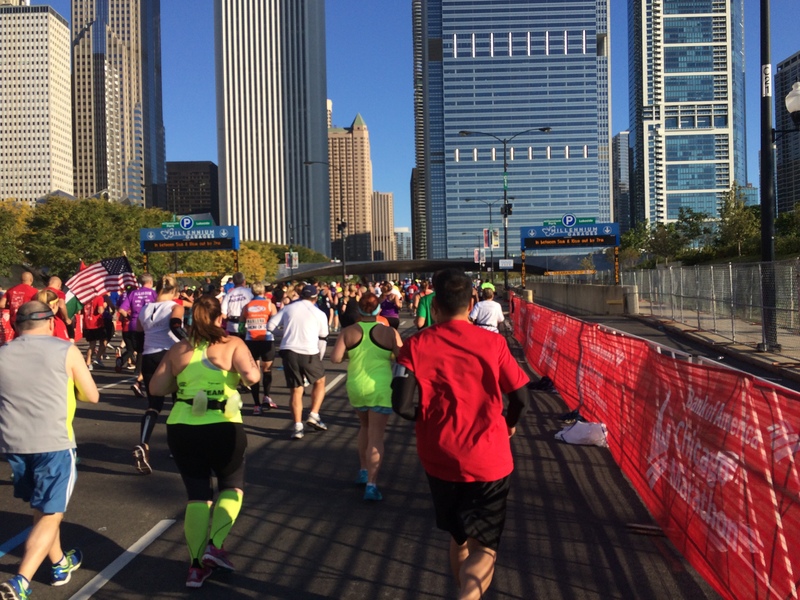 This weekend, 40+ thousand runners will be taking to the streets of Chicago to run the 2016 Bank of America Chicago Marathon. 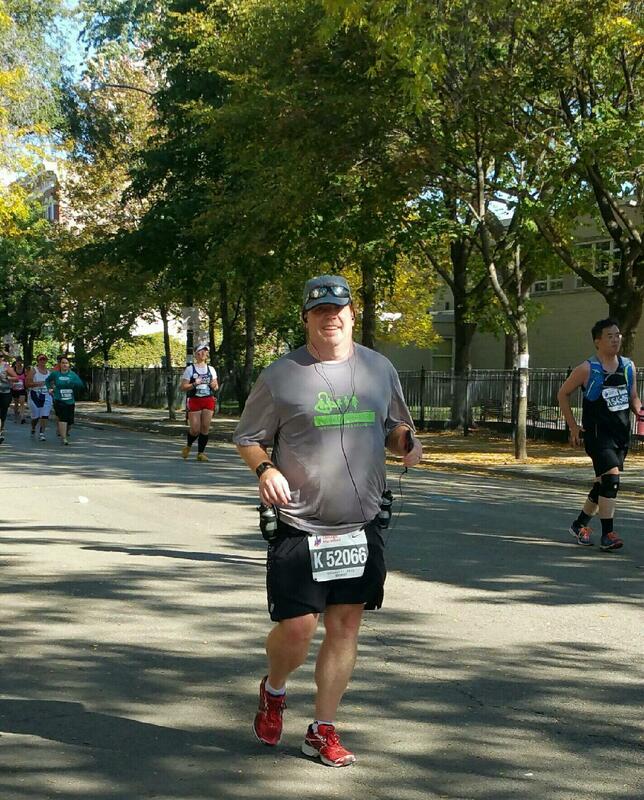 It’s hard to believe that it’s been around a year since I ran my last full marathon. A lot has changed in my life since then. 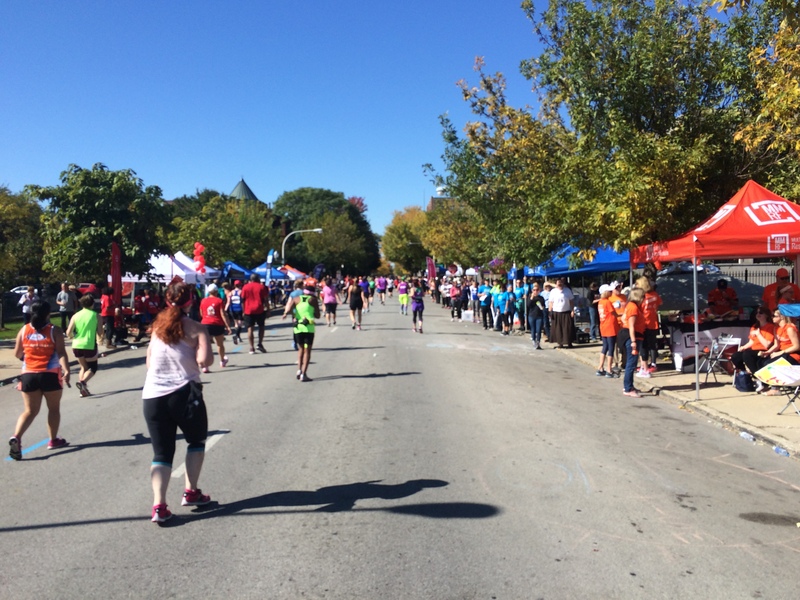 On Friday and Saturday, the Abbot Health & Fitness Expo will start the whole race weekend off. Y’all this expo is HUGE!!!!!! It’s basically Christmas for runners. One of my regrets about this weekend last year is that I didn’t get enough time to fully take in the Expo. I think that I only got a couple hours at the expo. So, I rushed from point to point. 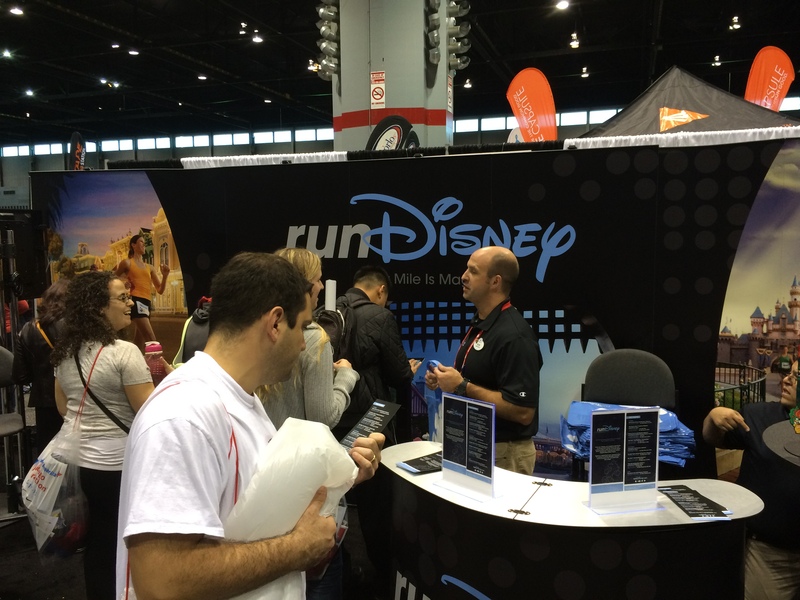 The funniest moment for me came at the runDisney booth. 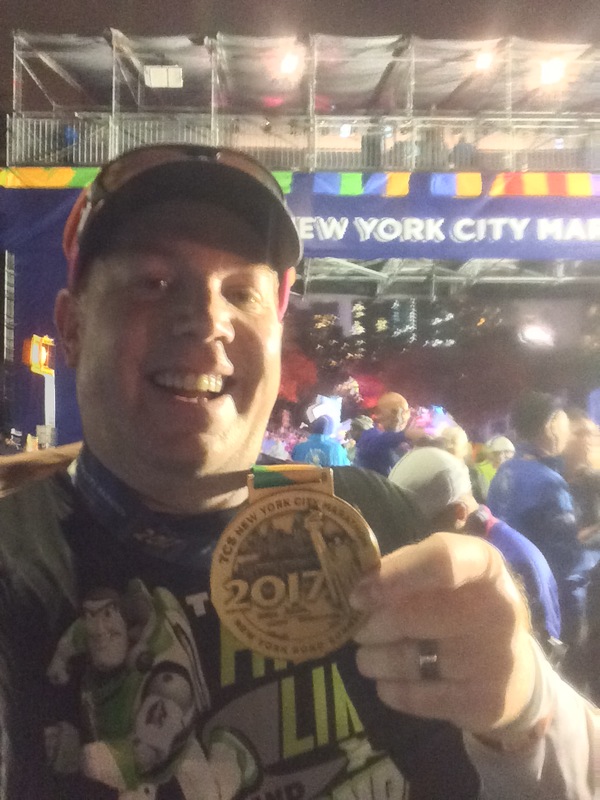 As I was checking out the 2015 Avenges Super Heroes Half Marathon Weekend medals, a guy comes up and asks his friend what the Infinity Gauntlet Challenge was. I told him that it was running the 10K and Half Marathon on back to back days. His response???? That’s only 19.3 miles. How is that a challenge? Yep. 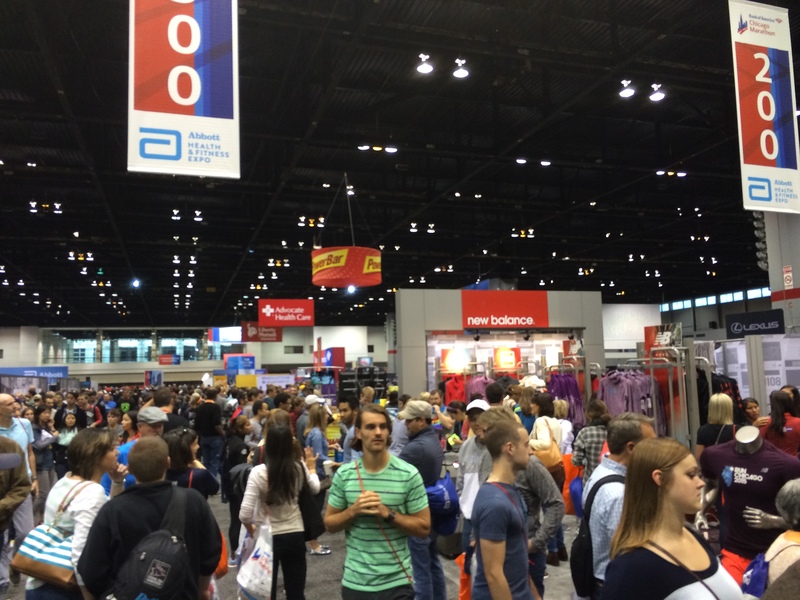 I was at a World Major Marathon Expo. 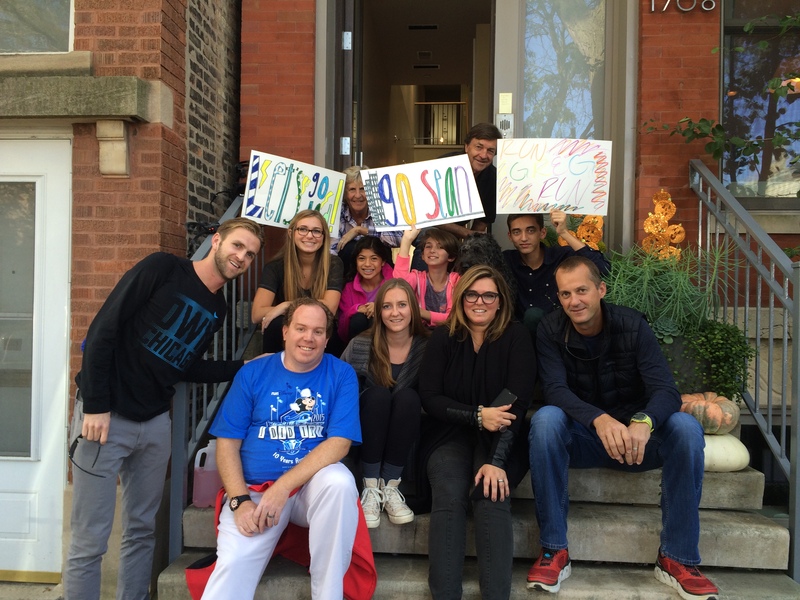 The reason for my short time at the expo was to attend a meet up for the charity I was running for…. 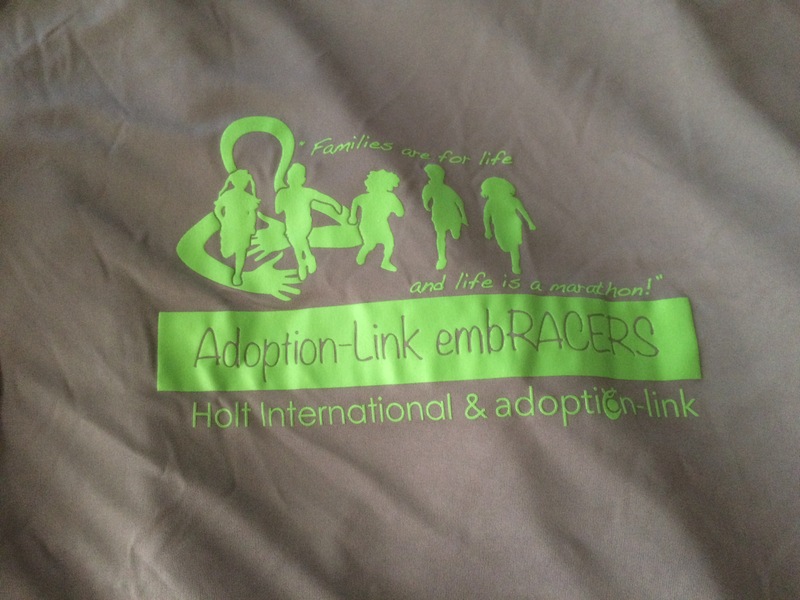 I was part of the Adoption-Link/Holt International team. I got to take the pain I was going through in the wait process of adoption and raise money for these two adoption agencies and the work they do around the world. The morning of the race was crazy. I took the train to get into town and then followed the crowd. 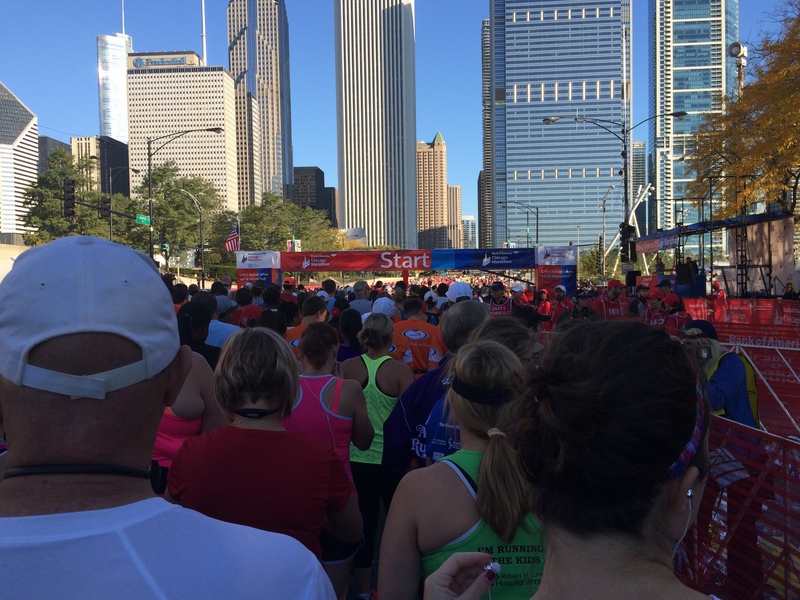 45,000 runners would be involved in the 2015 Bank of America Chicago Marathon. So, it was really crowded. 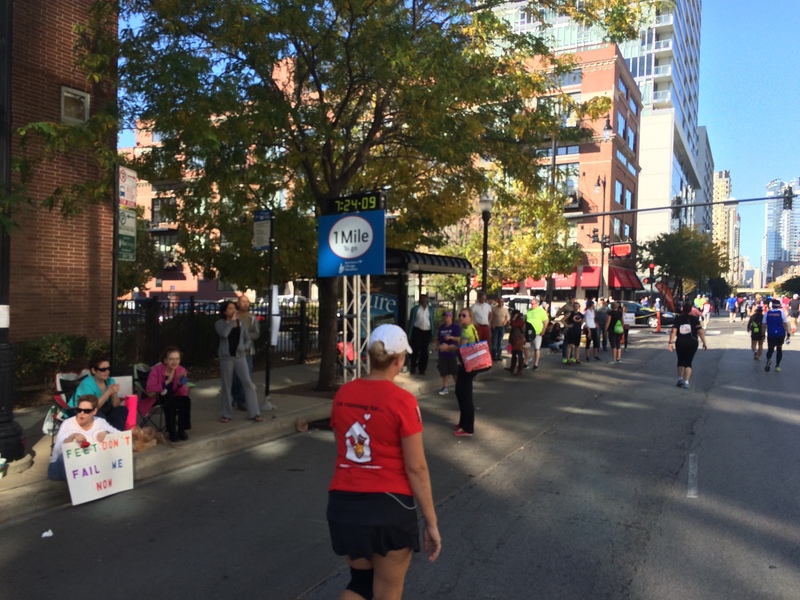 There were several entry points to get to the starting corrals. I was very impress with how organized everything was. Even though they sent us all the information we would need to get to our starting corrals, there were plenty of volunteers and police folks to help us. 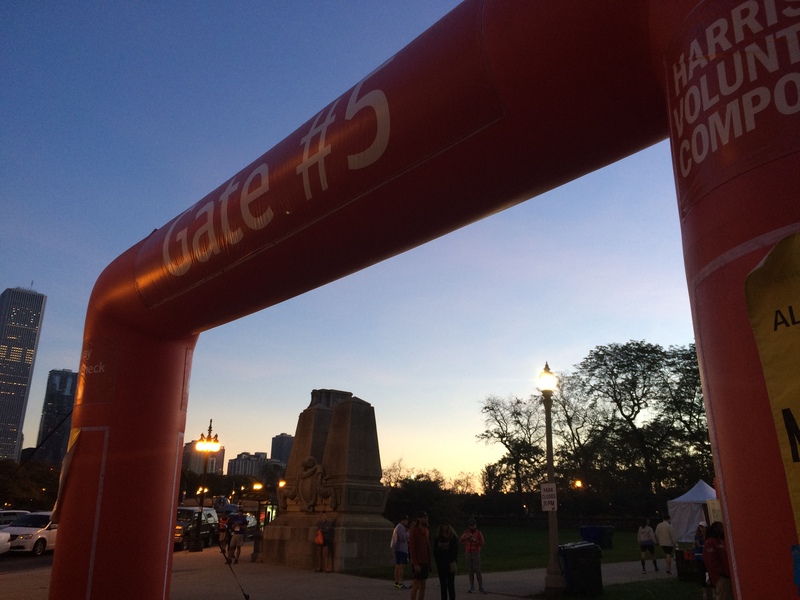 I entered through the last entry point…Gate #5. It was all smiles as I was in my corral with plenty of time to spare! Being in the last corral, it took forever to get to the start line. I think I was waiting for around 45 minutes before I even saw the start line. The start of the race was epic. 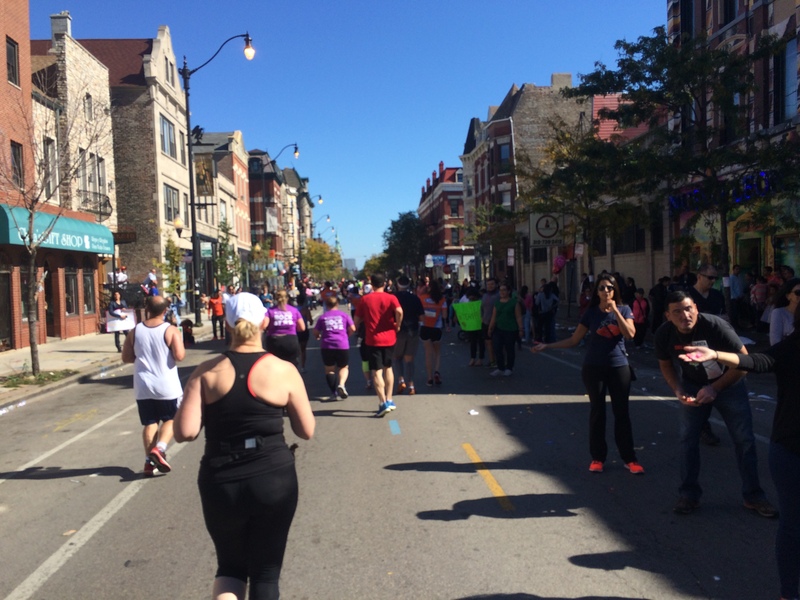 Everything about this race felt like I was running in a big-time kind of race. 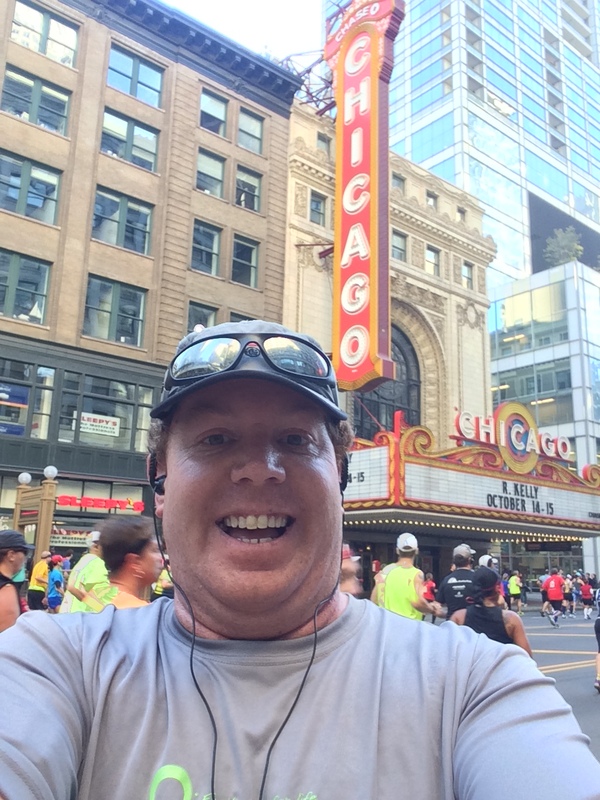 Running by the Chicago Theatre was one of the many highlights along the route. 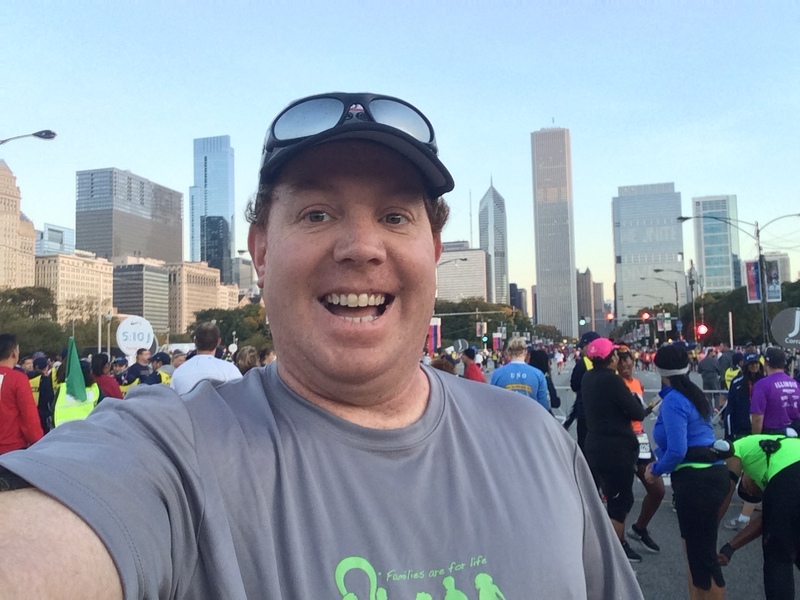 Before the race, I knew I had to stop for a selfie here. Sadly, this is as close to Wrigley Field as we got. I believe Wrigley Field is several blocks down the street from where we turned. Thanks to my Adoption-Link/Holt International team leader, I even got a picture of me running for free! I was feeling pretty great at the half way point! I got here in under 3 hours! 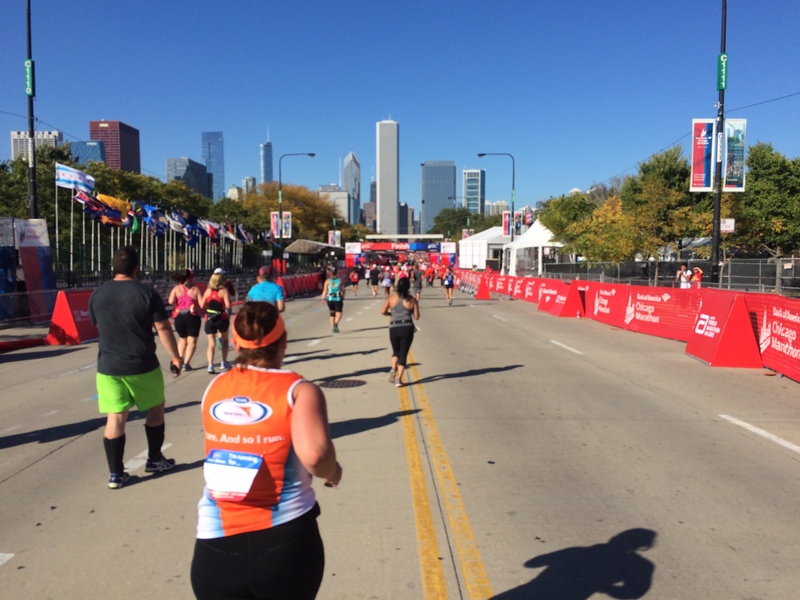 Still dreaming of a marathon PR! Sadly, I was running for one of the smaller charities. So, they were not in the charity runner zone as we came through. Even though my charity wasn’t represented, the energy going through here was pretty amazing! 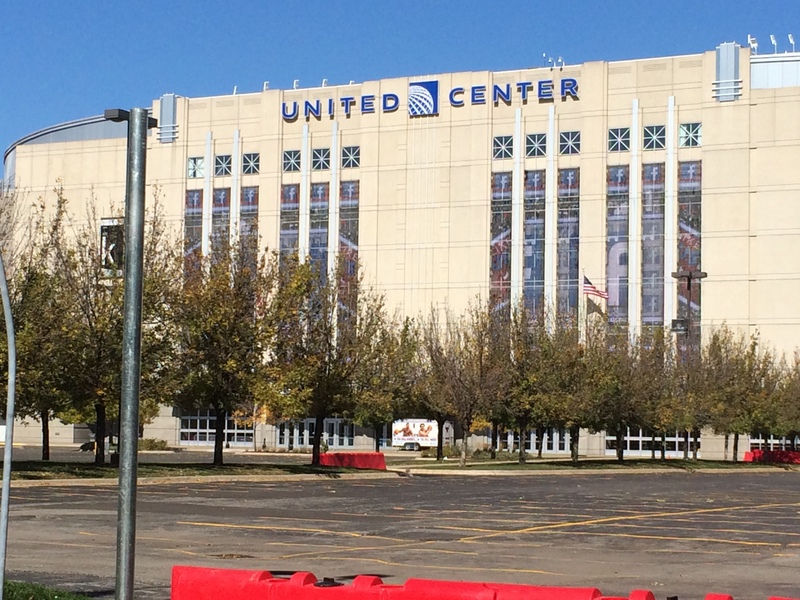 Not too far past the charity zone, we did pass by the United Center….home of the Chicago Bulls and Black Hawks. 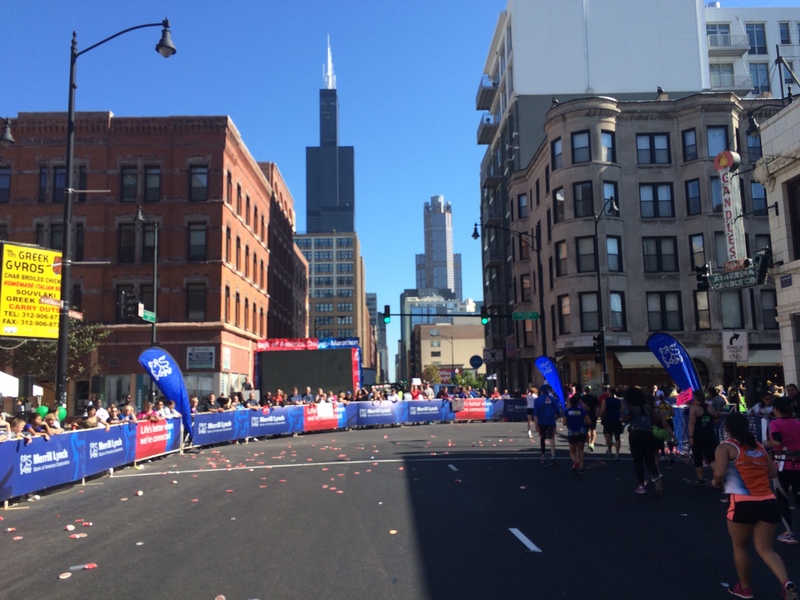 Running towards the (former) Sears Tower was cool. It provided me with something to run towards as my energy was fading. I believe this area of town is called Pilsen (or somewhere near there). It’s the Hispanic part of Chicago! It was a very festive area! 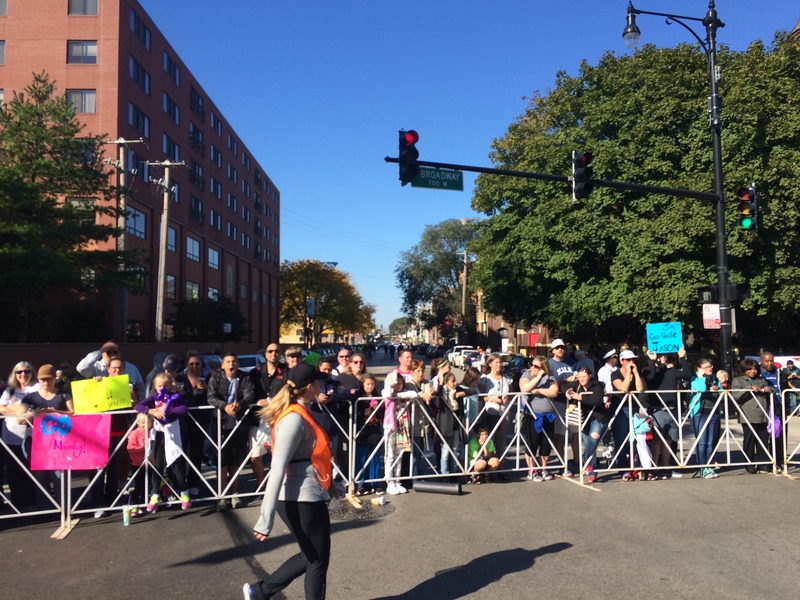 By mile 20, my dream of a sub-6 hour marathon had faded. 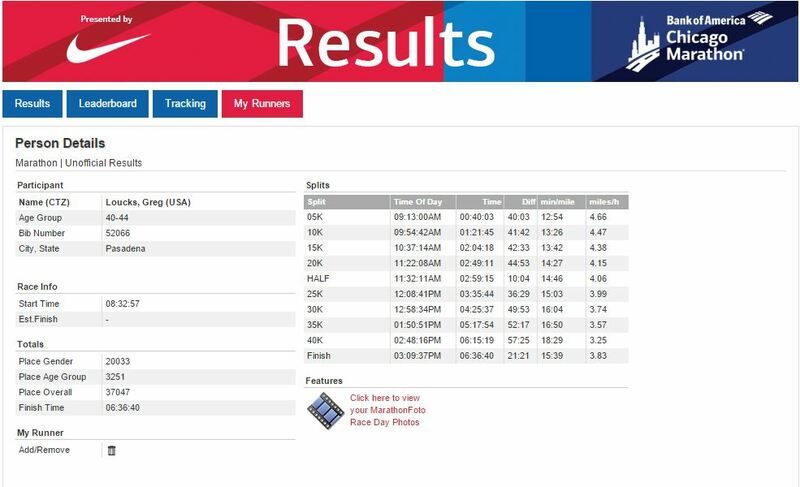 However, I was still ahead of my marathon PR! I was tired by this point and my intervals weren’t super consistent. 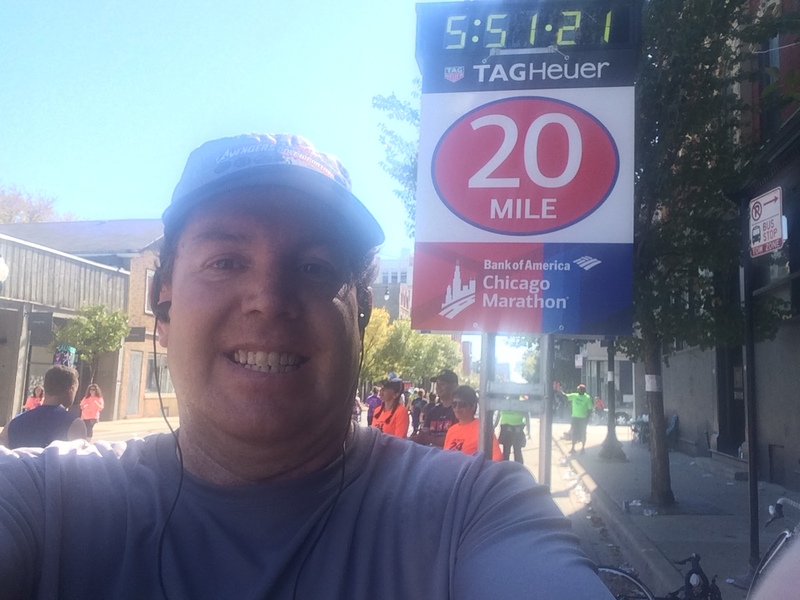 But, I was on a PR pace through mile 20! 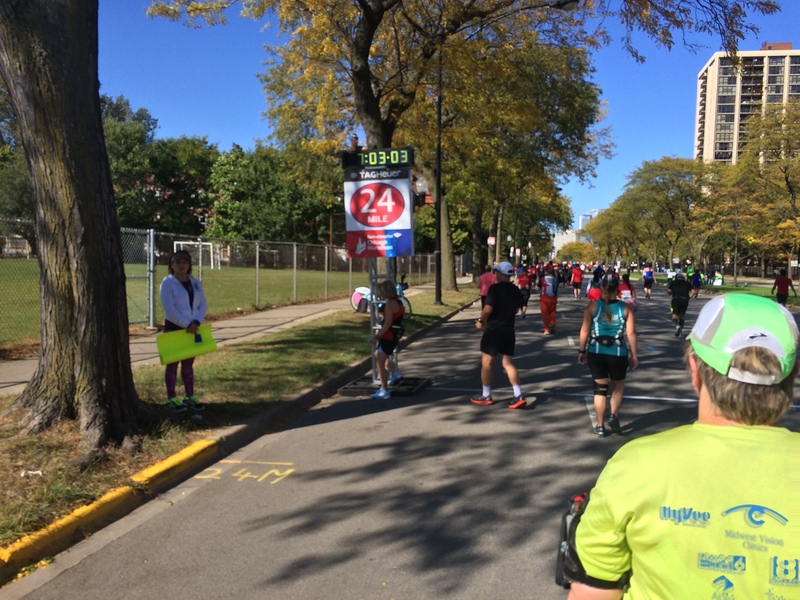 It wasn’t too far past this mile marker where my marathon PR dreams died. 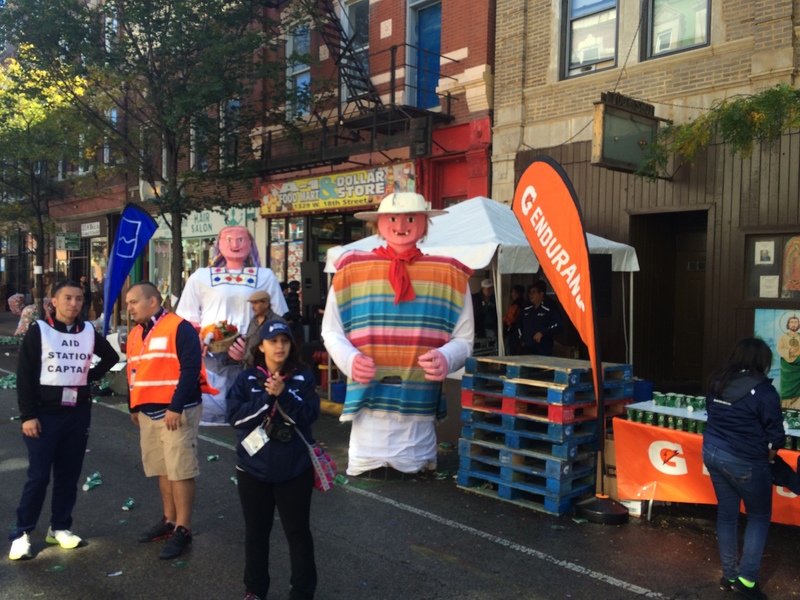 Somewhere in mile 22, I popped two blisters (one on each foot) and was brought to walking. 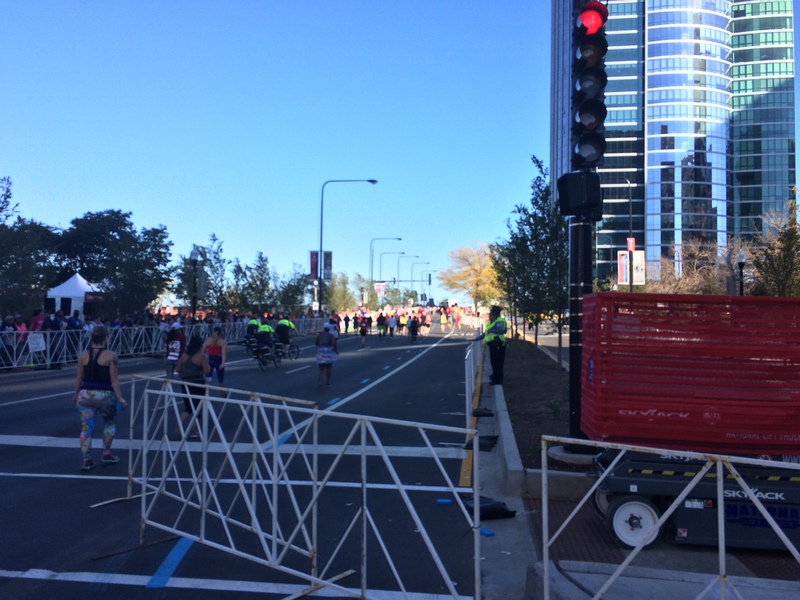 By mile 24’s end, I knew I wouldn’t make the cutoff time to be an official Chicago Marathon Finisher (6 hours, 30 minutes). It was sad. But, all I could do was to continue to walk as fast as I could and try occasional runs. I had to get to that finish line. I was too close. This was the last mile marker I’d see. 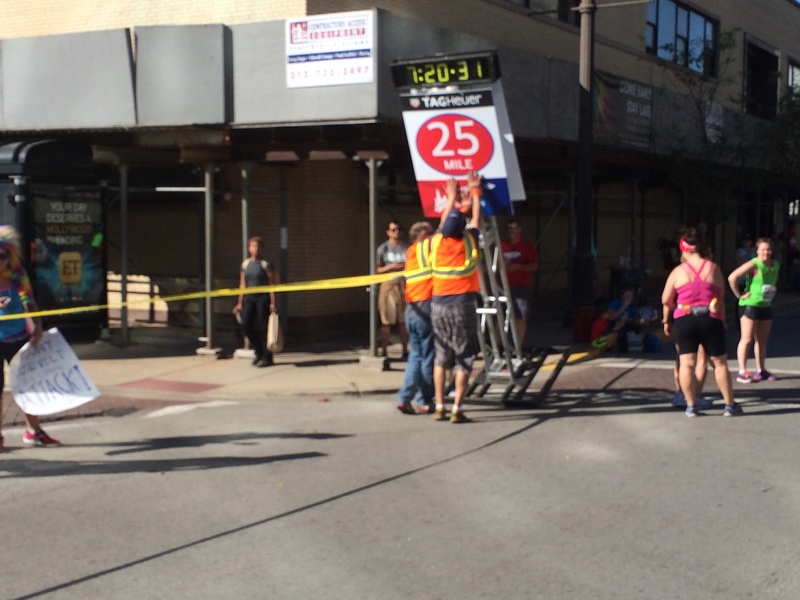 Honestly, the sight of them taking down the mile marker was what got me through that last full mile. I didn’t want to be someone who was swept up to the sidewalk to finish. I wanted to finish on the street. I was also concerned about getting my gear checked bag at the end of the race. 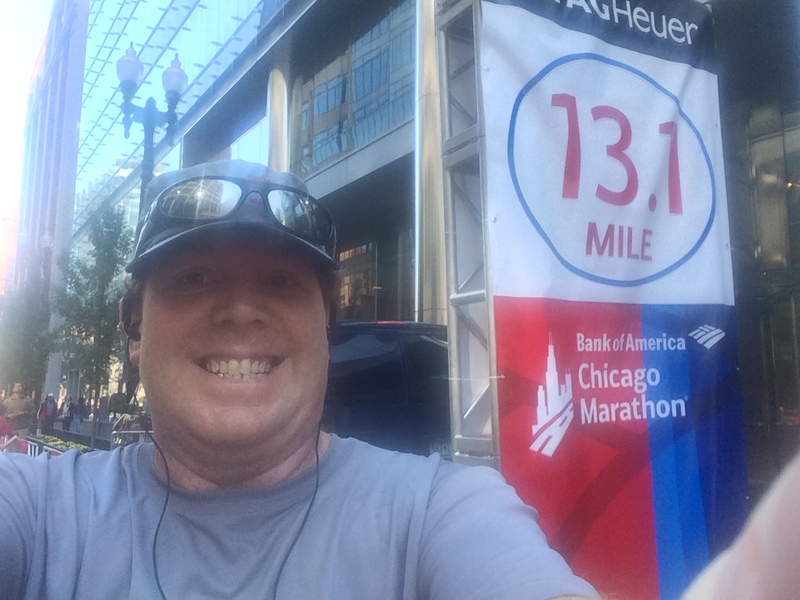 Seeing the 1 mile to go marker inspired me to start running again. It didn’t hurt as bad as it did in mile 22. Plus, I started playing the guessing game with what my finish time would be. My main motivation in this last mile was to avoid being swept up on the sidewalk. By the time I got to the last hill, the spectators were pretty much gone. I’m sure that, earlier, there were a lot of people cheering here. But, when I got there, it was time to tear down the course. When I got here, though, I felt a huge sense of relief. The small hill was something I walked because I was already behind the 6 hour, 30 minute limit. At the top of the hill, I could see the finish line and was pretty excited. Since I was beyond the cutoff, I wanted to stop and capture the end. But, I got my medal. 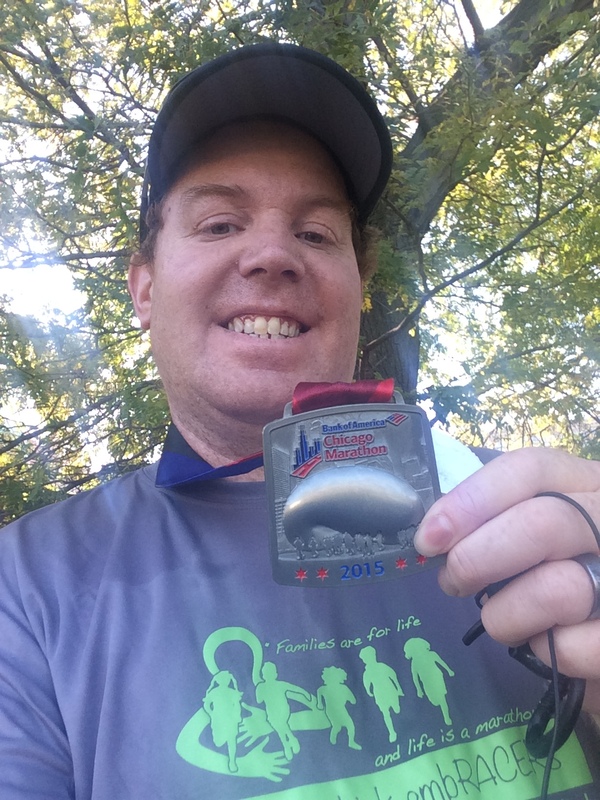 It was my second fastest full marathon of the three I’ve run. I even got my gear checked bag back! So, even though I was exhausted, I was all smiles. Post-race at Girodano’s did NOT disappoint. I was fortunate that there was one so close to the finish area. My feet were killing me. But, I was really hungry. Fortunately, I was all by myself afterwards. I say fortunately because it got me right in once I arrived at Girodano’s. There were a lot of people waiting. 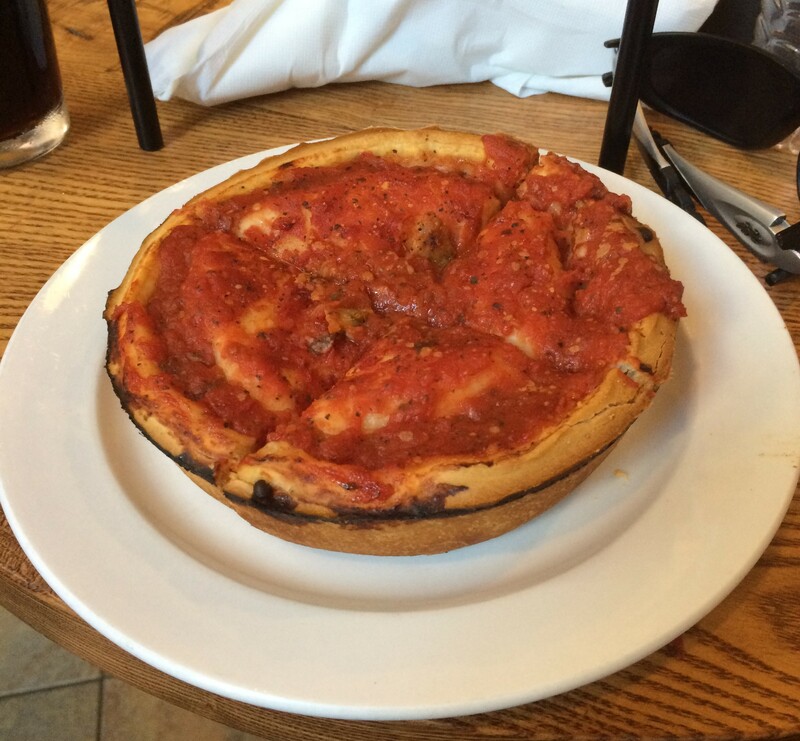 The waitress told me that the pizza would take 45 minutes to cook. She asked if I was okay with that. 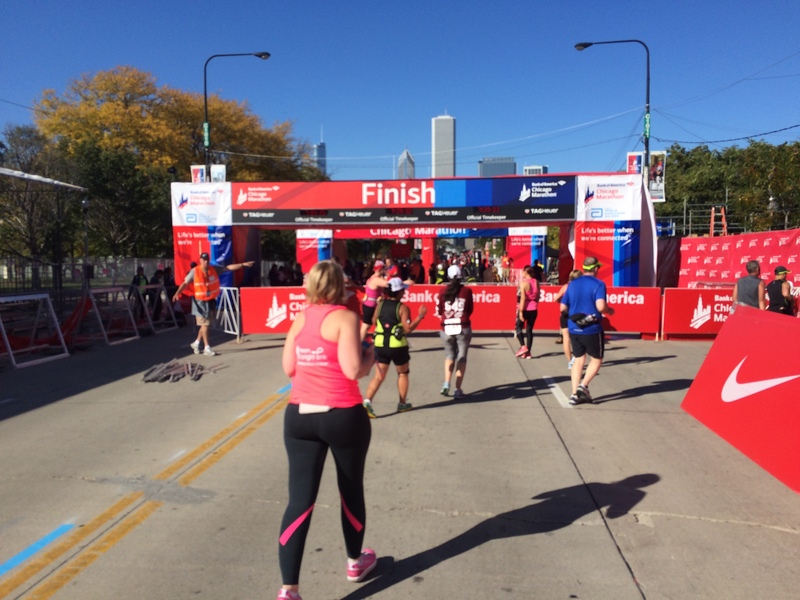 I told her, “I just finished the marathon. I’m okay with waiting off my feet!” This pizza was AMAZING! 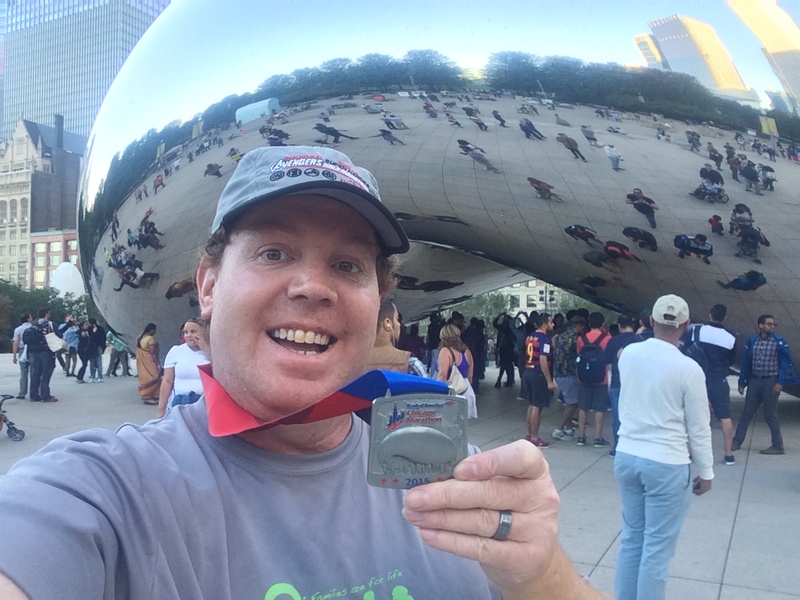 After eating, I was off to the Bean for my medal picture. This was the unofficial result. If not for those blisters, it could have been a much better day. It’s a real bummer that I had those blisters because this race was seriously amazing. 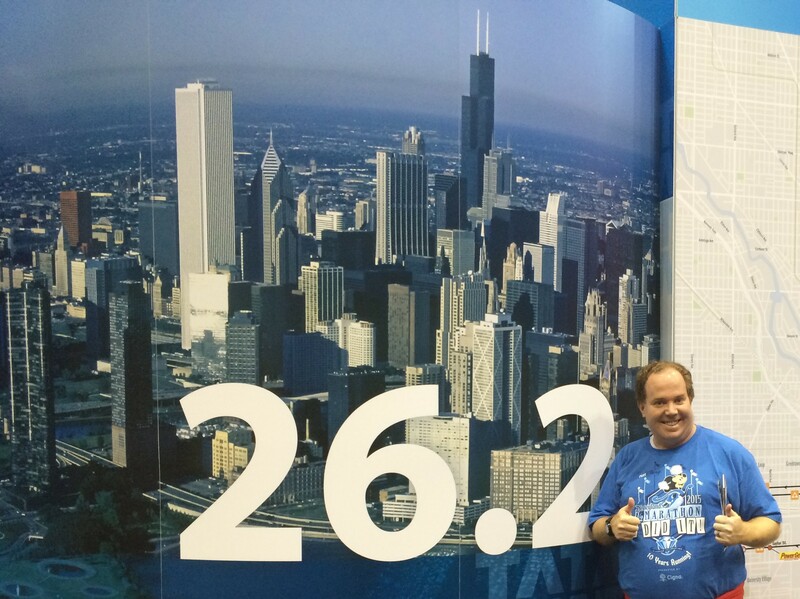 I loved running this marathon and would do it again if I have the opportunity. When they say it’s a flat course, they aren’t lying. Yes, there are some slight rises and falls in the race. But, ultimately, it’s a really flat race. The crowd support is amazing. 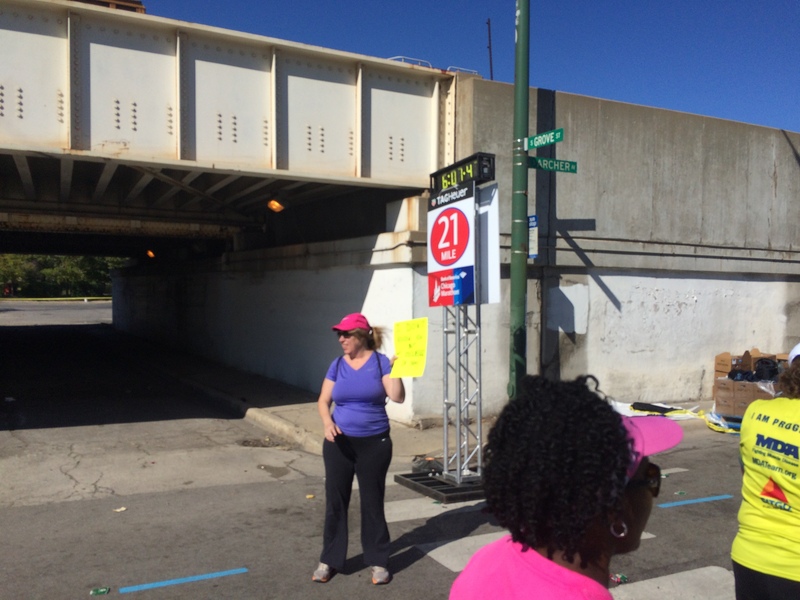 It wasn’t until I was in mile 24 that I noticed a drop off of crowd support. Folks who are running this race this year are in for a real treat. 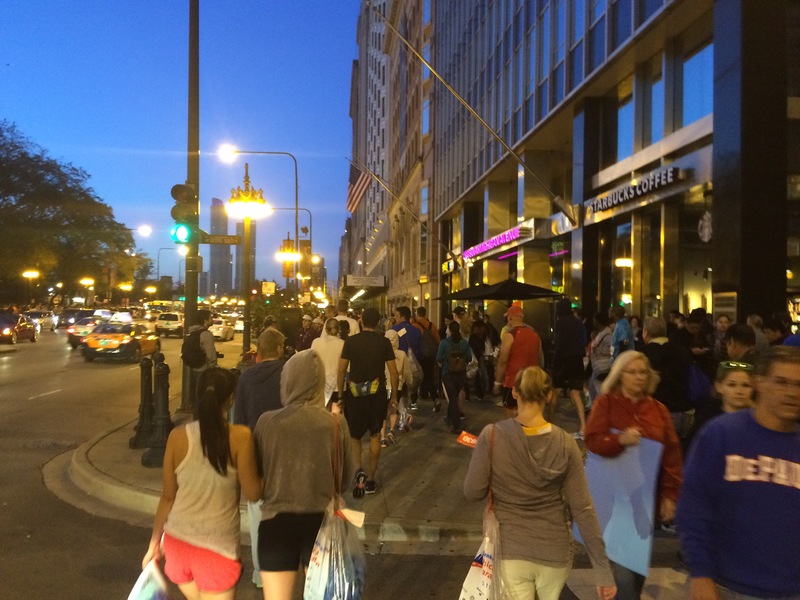 Good luck to everyone who is running Chicago this Sunday!